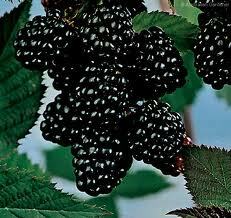 Blackberry fruit as one of the berry family member who is also very useful to maintain beauty. Blackberry contains polyphenols and anthocyanins good untuh prevent skin cell damage by free radicals. In addition, the blackberry is also rich in vitamin E are good for the skin, while vitamin C it will increase the body's immune system. Forms such as blackberry wine, but with a small fruit and clustered. When I was young, green blackberry, but if it is ripe, blackberry purple-black. Benefits blackberry is one of them keep skin young and firm. Because, blackberry keeping skin cells from free radical damage, pollution and dirt. Enter one cob blackberries and yogurt and honey each a tablespoon into the blender. Blend all ingredients until well blended. Spread on face and neck, leave 15-20 minutes, rinse with clean water. Do it once a week, so the results satisfy you. This herb is also good for the skin of the body, but for use throughout the body should be the amount added.